Last updated by admin at July 6, 2017 . Darwin Comes to Dentistry; Are You Evolving? Most people reduce Darwinism to “survival of the fittest,” but his theory actually states that the species that survive are the ones who most effectively adapt. And let’s face it–humans are not the fittest species. We couldn’t outrun a housecat, we swim slower than a goldfish, we need clothing to keep from freezing to death. Half of us need glasses to even see. And yet we dominate the planet, because we are highly adaptive. Well, in dentistry today, we need to evolve. Because my company deals with dental consumers all over the country, dentists ask me what I think the future of dentistry will be. The answer may vary somewhat depending on where they are, but one of the things I always tell them is that I believe that within a generation the solo practice will not be a sustainable business model. There are forces at work that never existed before, not just trends but tectonic shifts. I meet dentists every week who are hoping to coast to the end of their practice run without upgrading their facility, refreshing their patient base, or offering any sort of convenient hours, and hope to get a nice payday when they sell their practice. Would you put your house on the market without painting it, doing some landscaping, and getting rid of that scary couch in the living room? Yet this is what dentists are doing all across the country, and what will happen is someone won’t buy the practice, they’ll just open across the street with a new facility, convenient hours, same day dentistry, and they’ll vacuum half the patients out of that practice in a year or two. Just because you don’t see big changes coming doesn’t mean they’re not looming on the horizon. 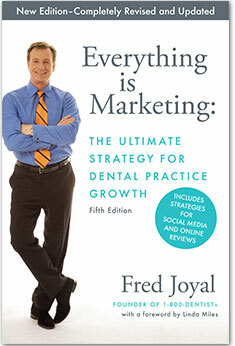 For the first time in the 30 years I’ve been working in dentistry, I’ve witnessed dentists losing their entire practice, having virtually nothing to sell at the end. Others have declined 30% in a single year (2008) and then 10% every year thereafter. Many others are still surviving, and some are thriving. But times have really changed. 1. Consider bringing in an associate or two. And maybe a specialist or two. You have a million-dollar surgical facility that you’re using 35 hours a week, if that. Get someone else in there. 2. Take a close look at your patient base. Does it merit taking some insurance plans? I know that the goal for many years was to be a completely fee-for-service practice, but I’m not seeing that as viable for most practices in the years ahead. Dr. Mike Barr, in this brilliant blog post, argues against that with a very good strategy, but it involves a determined effort to evolve and change. 3. Tech up. I’m mystified that when a dentist doesn’t get that same day dentistry like CEREC is not a consumer benefit of major proportions. What patient wants two visits instead of one? They don’t want the first one! 4. Offer more convenient hours. Test them to see what your patient base needs. Early mornings, evenings, Saturdays, see what fills up fastest in the schedule. 4. Have a comprehensive digital strategy. This starts with a rock solid, dynamic website, but doesn’t end there. You need a strategy for online reviews* and social media. 5. Network. You and your team need to interact with your community. You can’t just take another clinical course and hope patients will get all excited about your new skill level and start lining up outside. 6. Get more efficient. Use digital communications like PatientActivator. Get a practice coach. Every successful athlete has at least one coach, simply because they don’t know what they’re doing wrong and how they can get better. A good consultant can get you and your team there faster. Dentistry can be a fantastic profession for many years, perhaps many generations to come, but it’s evolve or die, just like everything else on the planet. *I’m doing a webinar on online reviews this week entitled “Yelp! The Dentist Survival Guide”. It happens on Thursday at 11am PST. It’s free, and you can register by clicking here.